While I was cooking last night, Tate kept asking me if the kale I was cooking was “money”. Oh Tate, in many ways it’s even better. Before I share with you my new recipe, I wanted to show you something else first. So, a friend of Scott’s sent this video to him the other day of Terry Wahls’. She has MS but using food as her medicine, she has had a miraculous recovery. To be honest, I had seen it before, but seeing it again reminded me of just how amazing and powerful foods are, especially to someone with an autoimmune disease, diabetes, etc. It’s 17 minutes but completely worth watching for anyone and everyone. I know it sounds a little long, but today I watched the first few on my iPhone, and then listened to the last 15 while I was cleaning the dishes. Click on the link from my blog, or copy and past and email it to yourself (as a reminder) and then listen to it while on a walk, in the car, whenever. While a little nerdy, and some parts a little technical, I hope you’ll find it as interesting as I did. So on that note, I made a fantastic new side with kale. I loved it so much, I made some last night with dinner, and then, when we ran out, I got up and made some more halfway though dinner. 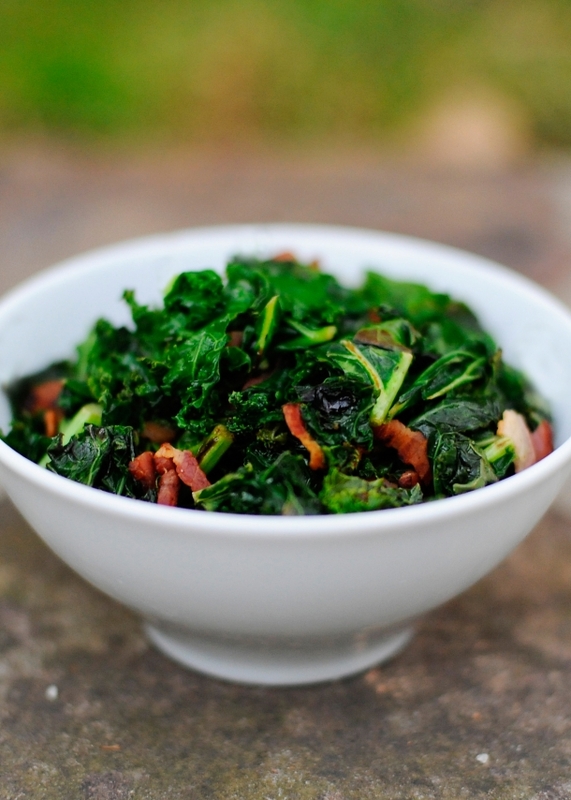 If you like traditional collards, you’ll love this, and it cooks in about 1/50th of the time! By the way, the first time I made it was with collards on New Year’s Day, hence Tate asking if it was “money”. I couldn’t figure out what he was talking about when I was cooking this. I thought wow, this kid really is getting it! Ha! What do I know!? 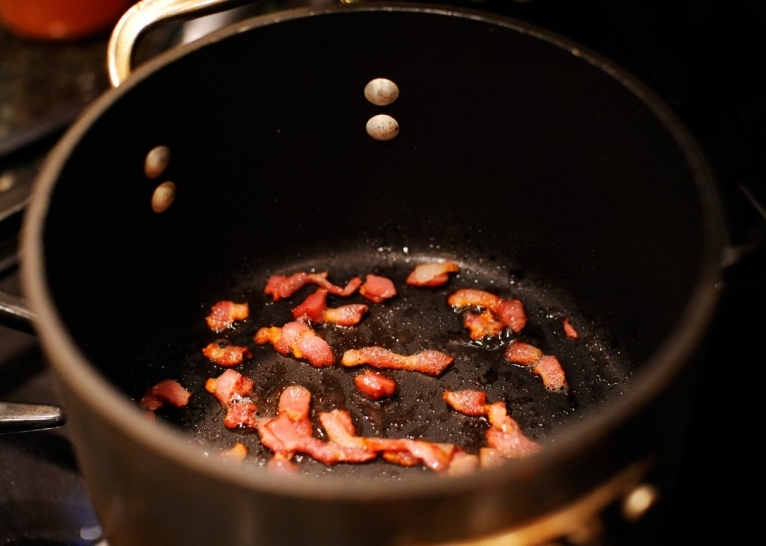 Chop up the bacon and cook in pot until brown. Then, add in the kale and cook until the leaves lighten and are softer probably 5 or so minutes. Lastly, add in the apple cider vinegar, salt and stevia and enjoy! Would love to hear what you think about the video!